Elected MP to start in new role in January 2019. 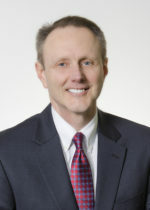 Joined Keiter as partner in 2010 and currently leads tax practice and is member of executive committee. Worked in public accounting for 30 years at KPMG and now Keiter. Has also served as CFO for a prominent family office. Specializes in taxation, including transaction structuring and consulting with business owners. You will take over as MP on January 1st. How are you preparing for the transition from Mike Gracik? Our firm has taken a systematic approach to succession including my new role as managing partner. Our process began over a year ago and Mike has done a great job in preparing me with everything from “shadowing” to participating in key firm decisions. His approach has been very effective for me personally as well as with our team, clients and our community. You haven’t ‘grown up’ professionally in accounting firms alone. Do you believe your private sector experience will aid you in guiding the future of Keiter? If so, why? What do you feel you need to learn about the profession? My career in public accounting will be very valuable in leading our firm. I learned from many great leaders and role models as well as from working through my own situations. On-the-job experiences will significantly benefit me because I have gone through many of the decisions and life lessons that I may potentially face. However, my private sector experience as a CFO broadened my breadth of business understanding and was a great learning experience on how to operate a business. As a past CFO, I participated in business decisions, which will assist me with firm decisions at Keiter and will also give me a better understanding of our clients’ decision-making. The combination of public accounting and private industry experience provides a unique perspective for leading our firm. What are your growth goals for Keiter? Growth is important for our firm, primarily because it allows and provides rewarding opportunities for our current partners as well as our future leaders. I am enthusiastic about growing our practice areas and seeking new service opportunities to support our clients, as well as our people and community. Accounting firms are experiencing many changes, from technology to client needs. Embracing new opportunities comes with our entrepreneurial spirit and will guide us for our growth goals going forward. You’ve said that one of your priorities as MP is to expand support to the Richmond, Va., community. What do you have in mind? Keiter has a great reputation in our community. I hear the appreciation that our clients and community leaders have for us every day. I want us to be more focused on how our services and support makes a difference. Our community deserves our effort and our team feels the rewards from such support. There is no master plan to expanding our support. It’s simply to keep our clients and community top of mind as we conduct our business and volunteer our time. Why do I look forward to this new opportunity? It’s simple. I am excited to be making a difference for our team, clients and community.